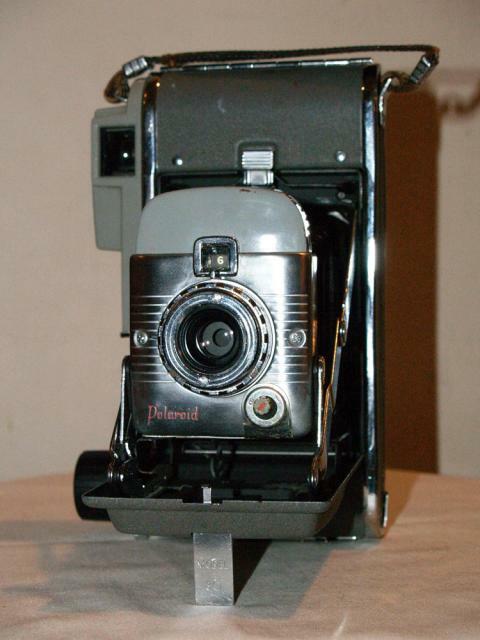 The Polaroid 80 and its successor 80A and 80B were released in the late 50s as the budget Polaroid camera. 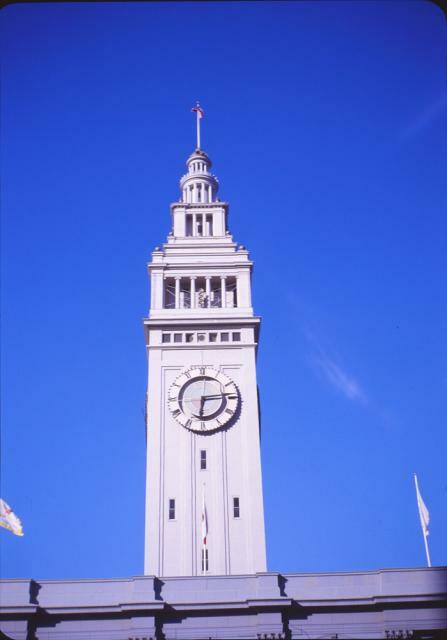 They had the same glass lens, but used a smaller film stock, didn’t have a rangefinder, and had only 2 shutter speeds. 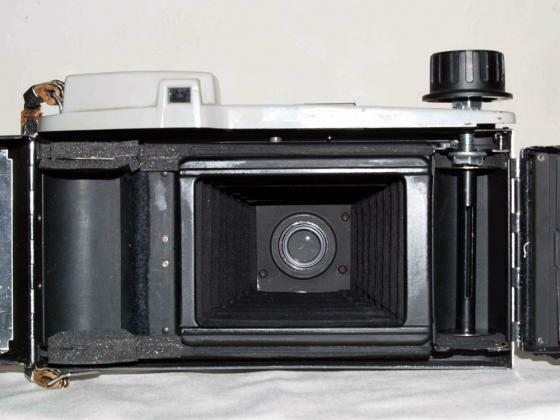 Since not many of them were sold, film sales were never what they were even for the larger roll film cameras, so Polaroid discontinued film for the 80s in 1979. Nowadays, with people clearing out their attic, Polaroid 80s are popping up all over the place, be it eBay, thrift stores, or flea markets, often for a bargain. Most people think that the 80-series cameras are worthless, since film was discontinued almost 35 years ago. However, for about $10 in materials, a Dremel tool, and a drill motor, you can turn an 80 into a retro 6x9 medium format camera! The first step in preparing your camera is to cover up the lens. Take a soft cloth, fold it in a rectangle, and tape it over the lens opening. That way, any metal shavings that fly off won’t nick the lens. Next is figuring out where to drill for the winding knob. It may seem hard to figure out where to drill, but luckily the good folks at Polaroid gave us a hint: On the left side of the camera, right above where the old spool sits, is a screw holding that side of the lid in place. That screw socket is where you need to drill! Using increasingly larger drill bits, drill a ¼ inch hole directly through the metal body and the plastic top. Next, you have to cut the doors to fit where the winding knob will go. As you can see, both doors were designed to cover up the body to serve as a light seal. Unfortunately, some of this will have to go. Using a Dremel tool, cut a ¼ inch wide pathway for the knob to fit through. If you would like to be more precise, use a pencil to mark the exact path of the doors opening. 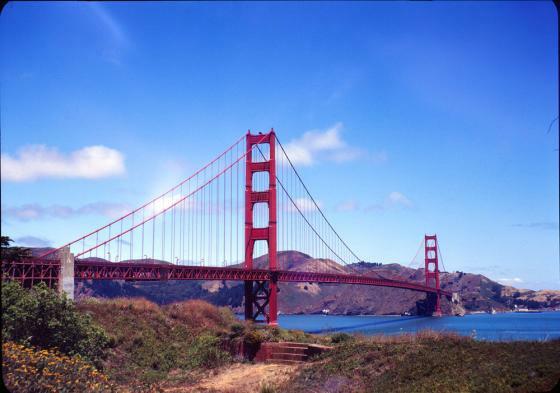 (Don’t worry about the possible light leaks, we’ll fix them later). After that, the hardest part of the entire project is done! There are two more pieces of camera modification necessary before we can get to the easy stuff. There’s a black metal piece that sticks up on the left side of the film aperture, between the aperture and the spool. 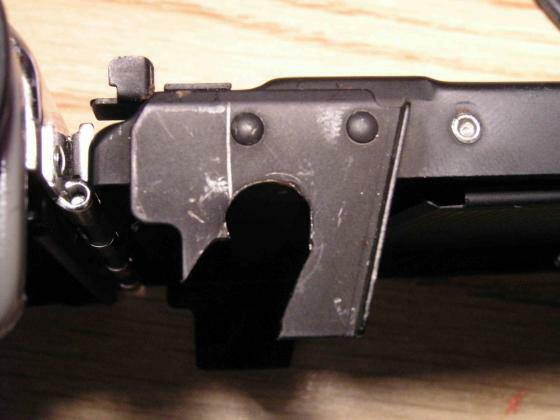 Cut that off with your Dremel and stick a piece of black felt (from your light seal kit) over the cut off metal piece. This prevents film scratches if there are any burrs left on the metal. Finally, you have to make the red window. Using a ½ inch drill bit, drill in the inner back from the pressure plate side right into the “A” in “Land Camera”. Drilling from this side prevents burrs that could cut the paper and let light in. Then, very carefully, tape a small piece of the dark red filter in between the back and the pressure plate with electrical tape. The electrical tape ensures that the light won’t “pipe” from the filter around the entire camera. The next thing you have to do is set up the mechanism by which the film is held in place. 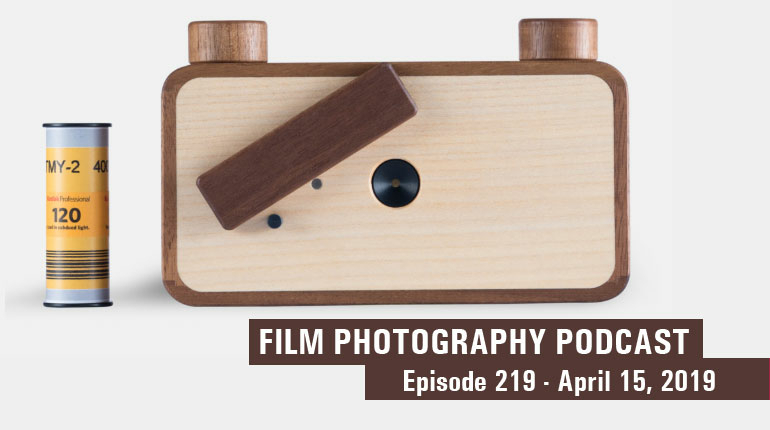 Some people build wooden spool holders with exacting tolerances; I’ve found out that using some extra light seal foam works just as well and gives you some friction to prevent the film from going loose in the camera. Just use as much foam as needed to give a snug fit on the spools. The only side you don’t need to put foam in is above the take-up spool; a nut will need to go there. Next, we need to assemble the winding knob. Take the threaded rod, and grind one end flat until it fits inside a film spool. Put a spool in the take-up side of the camera and put the rod in until it stops against the take-up spool. Mark off about ¾ inch above the top of the camera, and cut the bolt off there. 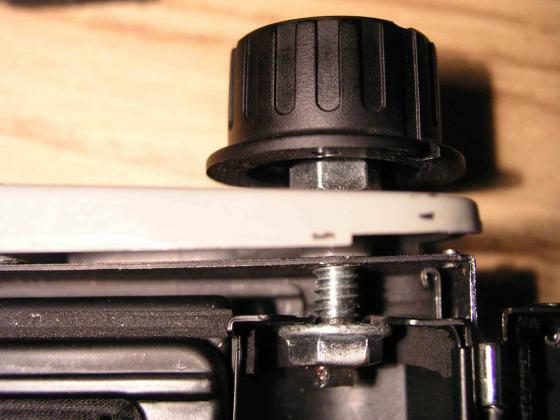 Thread the flange nut onto the bottom (flat end) of the bolt, and the washer nut on the top (round end) of the bolt until the film spool fits in (doesn’t need to be tight). Mark off the position of the bolts. Put a few drops of thread lock where the flange nut was and screw it in. Wait 12 hours. Put the bolt and nut back in the camera and see if it still works. If it does, do the same with the washer nut, making sure the washer fits snugly against the top of the camera. If you like, you can put a dab of epoxy on the teeth of the washer to hold it in place; just don’t use too much or it will freeze up the bolt! Put the knob on the top, and the camera is almost ready; all that’s needed are the light seals. 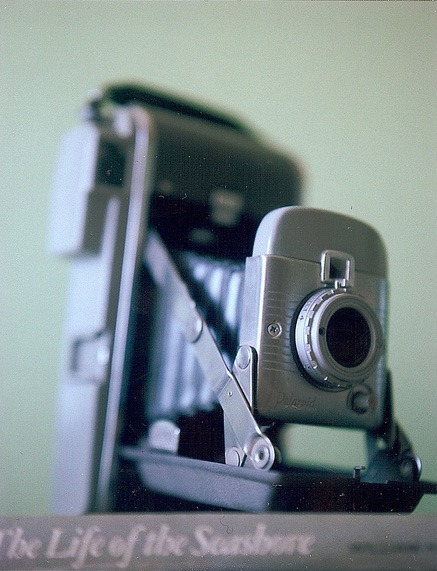 Since this camera was not designed for use with regular roll film, there are a lot of areas that are not light-tight. As a general rule of thumb, seal anywhere where there could be light. 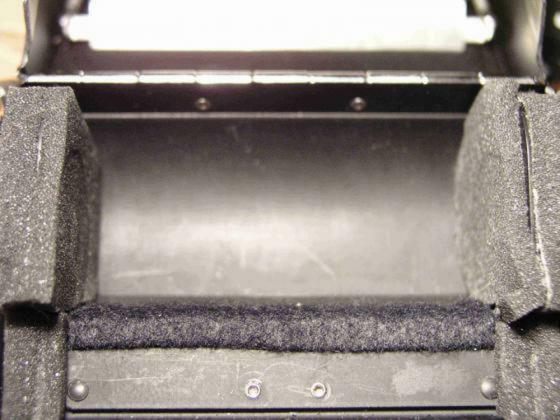 Some key locations are: the interior roller, between the roller and the main inner back; the “paper” (left) spool holder, and in the outer back where you are able to open the inner door. Anywhere else you think might leak light, seal it. One last place to check are the bellows. Small light leaks can be repaired with gaffer’s or electrical tape, where larger ones will make you chalk that camera up as practice. After all of that work: there’s one more question: How do the pictures look? All in all, not bad! (there was a small light leak in the bellows on these rolls, it has since been repaired). One final note: Polaroid seems to have put rivets right where the 120 spool should sit. I’ve found out that trimming the spool to the inner lip works well, but using an old 620 spool as a take-up spool works even better. 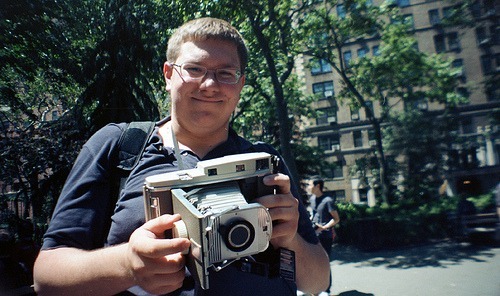 Above: Blog author Nick Rapak at the 2012 FPP NYC Meet-Up! Top Image (Polaroid 80) by Ellen Jo. Visit Ellen Jo on Flickr! Bottom image of Nick Rapak by Michael Raso. All other images by Nick Rapak.